Among the hundreds of volunteers on the Scientology Disaster Response Team in Nepal are a team of doctors, a nurse and paramedics who have had their skills put to the test in many disasters. They come from around the world to use their skills freely in the help of their fellow man. They are doctors, nurses and paramedics who travel to disaster sites to give aid to those in need. 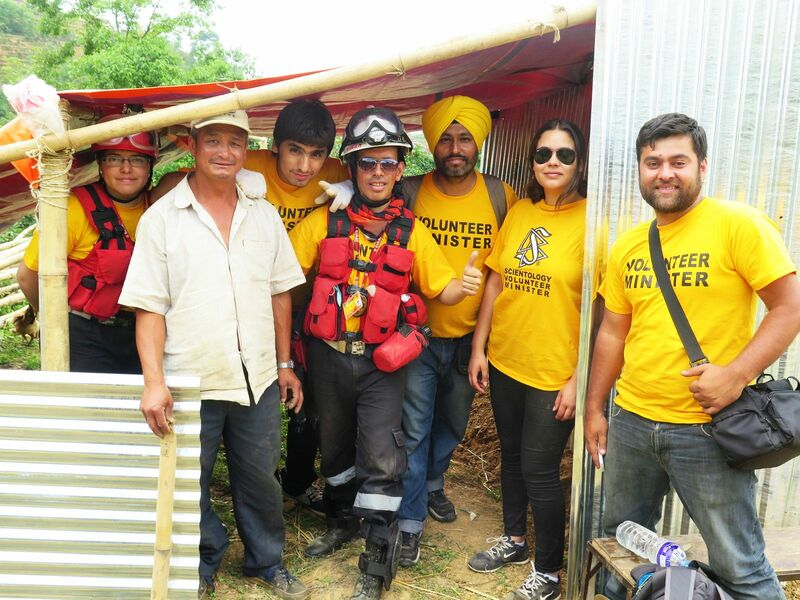 And a very special team of these medical workers, from India, Pakistan, Australia and Colombia, came to Nepal to join the Scientology Disaster response team where their help is urgently needed. Brought to Nepal by the Scientology Volunteer Ministers international headquarters, these are veterans of disaster response who travel to remote areas to dress wounds, perform minor surgeries, set broken bones, administer antibiotics and assist in any task that’s needed. Their presence in remote outposts is invaluable—such as the time, in the mountains, hours from Kathmandu, when a family came running down the mountain path bearing a woman in a litter. Her water had broken and they were taking her to a clinic in a nearby town, but they didn’t know if they had enough time to get her there. The paramedic on the team, ready and willing to deliver the baby himself if need be, checked her out and was able to assure them they still had time to make it to the clinic. Another doctor noticed a woman whose toddler’s face was swollen. He approached her to offer his help. When she found out there was no charge for the doctor’s services, the relief on her face was palpable. Because these doctors, nurses and paramedics are also Scientology Volunteer Ministers, they provide an additional dimension to the care they give in times of disaster by sharing techniques called Scientology assists. These techniques can speed recovery and are tools anyone can learn and use to help others. 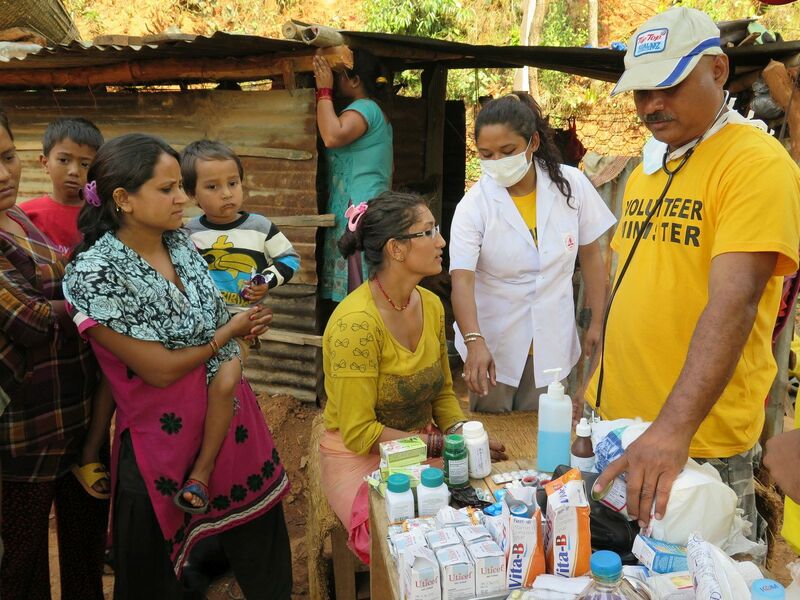 In a mountain village a doctor, a nurse and two paramedics help administer first aid and medical care to those injured by the earthquake. A Colombian doctor checks blood pressure on a man in one of the tent villages. A doctor dresses the wound of a boy in Nepal in one of the many tent villages that ring Kathmandu. A doctor who is also a Scientology Volunteer Minister dressed this man’s wounds before providing him with a Scientology assist—a technique that helps speed healing by addressing the emotional and spiritual factors in injuries and illnesses. 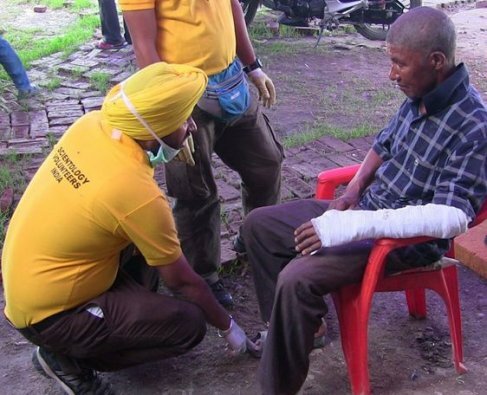 Medical doctor from India and nurse from Australia provide medical care in Nepal as part of the Scientology Disaster Response.